Seoul announced plans Monday to make the city a regional startup hub, backed by an investment of 1.2 trillion won ($1.1 billion) in the next five years and by doubling programs that support startups. The Innovative Growth Fund will be funded through public and private sectors by 2022 to help grow promising Korean startups across a broad range of established and emerging industries including the “fourth industrial revolution,” health care, robotics and cultural content. 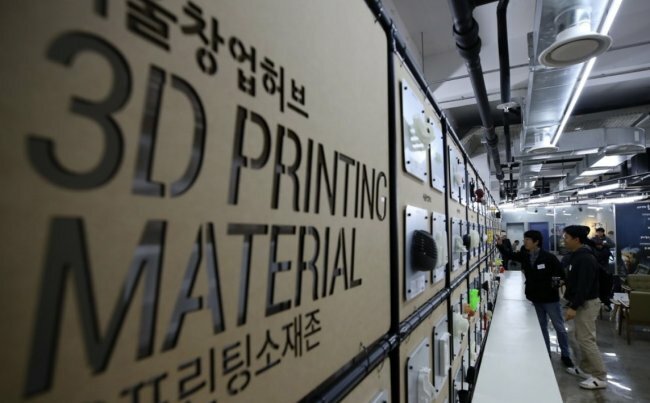 In addition to the Seoul Startup Hub in the northwestern Mapo district -- a city-run place where startups and investors can freely communicate and work together -- a total of 90 support centers will be run in the same period, the city said. The support centers for startups will provide free consulting and education programs, while maximizing opportunities to invite investors from abroad to match with promising local startups. Seoul’s unique geography, where half of the population resides in the metropolitan area, makes it suitable as a startup hub, the city official explained. “This project is also about connecting citywide support centers with the Seoul Startup Hub in order to provide one-stop services for startup businesses, from finding startup ideas that could be scaled up and producing finished products to attracting investment and entering overseas market,” said Kang Tae-woong, deputy mayor for economic development.